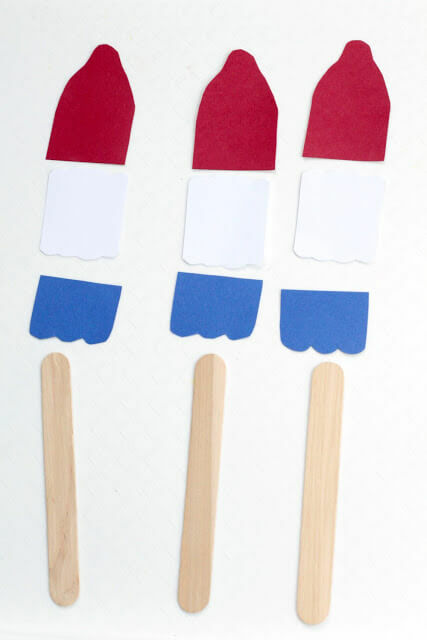 This Independence Day, summer craft is such a unique fun craft for kids of all ages. Summer is all about celebrating fun, food, and if you live in the United States of America! 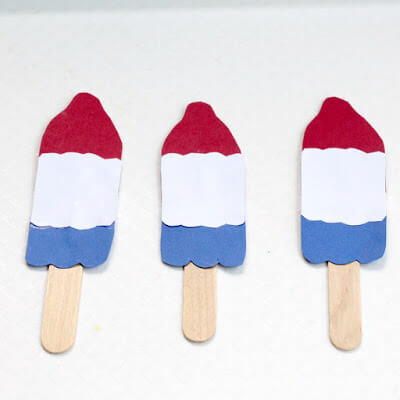 One of our favorite classic summer treats are Bomb Pops – the little red, white, and blue popsicles that look just like little rockets. These popsicles are delicious, iconic, and fun for kids to eat. But if you’d rather not let your kids have that much sugar, why not make your own paper bomb pop popsicles! Use the following directions to make your own bomb pop popsicle craft. Use them as decorations, play with them in pretend play, or make them to fill up a lazy summer day! There’s really never a special reason required to make this fun summer craft. It’s not hard to make these adorable bomb pom popsicles! They look just like the classic summer treat. Stack your three papers up with red on top, white in the middle, and blue on the bottom. The bomb pop’s white section is a little larger than the other two, so keep that in mind. Draw the outline of the bomb pop onto the paper like this. Glue the bomb pop pieces together. 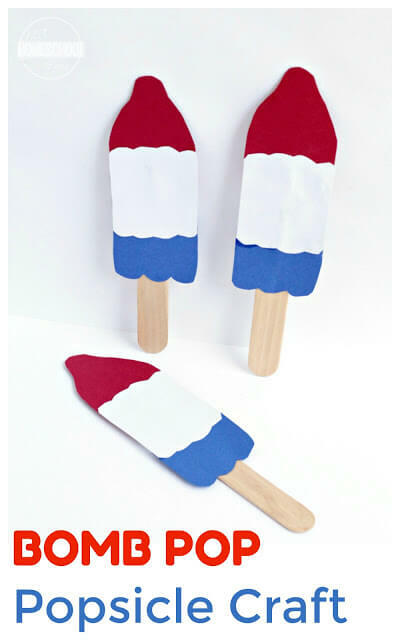 Once the paper dries, glue a jumbo craft stick to the bottom, and your bomb pop popsicle craft is done! If you’re running short on time, try gluing the pieces together with hot glue. Hot glue dries so much faster than other glue, and is wonderful to use when kids don’t want to wait for traditional glues to dry! 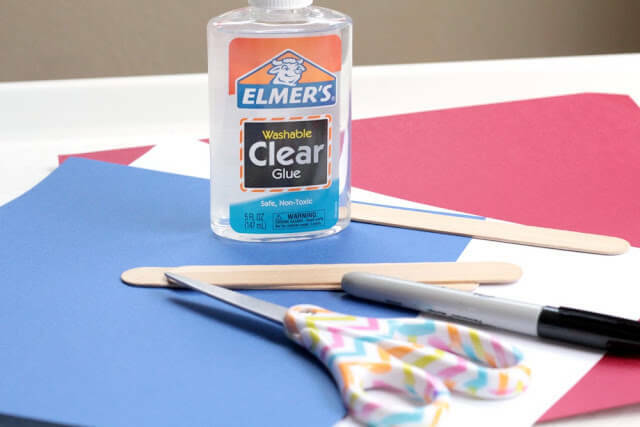 We often use hot glue in our crafts so that kids can play with their crafts that much faster!